1. Preheat oven to 175C and grease and line a medium sized loaf tin. 2. 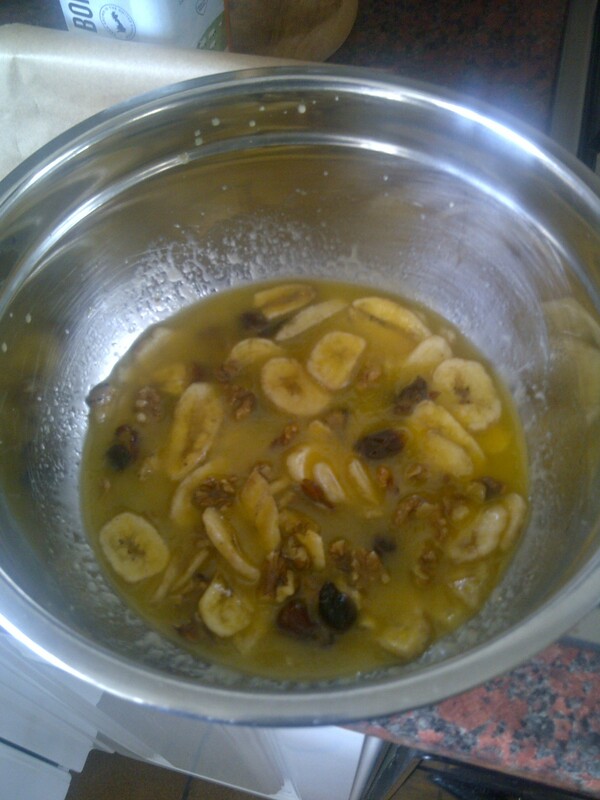 Mix together the melted butter and mashed bananas or banana chips. 3. Add the sugar, egg and vanilla and mix it all up. 4. Throw in the dates, raisins and walnuts and give it a good stir. 5. Sprinkle in the salt and baking powder, then fold in the flour. 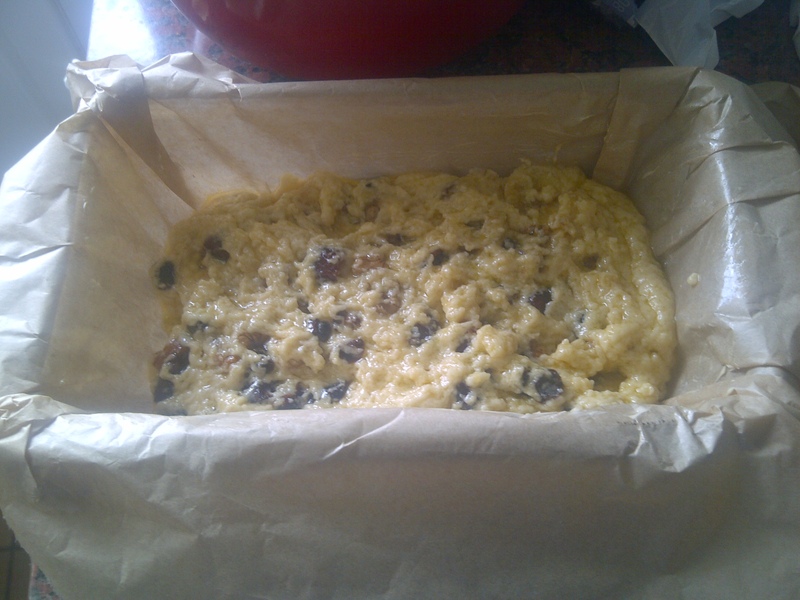 You’ll get a really sticky dough, just keep working with a wooden spoon to make sure everything’s mixed together nicely, then pour it into the loaf tin. 6. Bake it for about 30 mins – I left mine in for 35 mins but the oven was too hot so I can’t give an exact time for this recipe, usually 30-40 mins is enough. Just keep a good eye out! The final (charred) product wasn’t too impressive this time, but I’d really recommend baking it because it’s so tasty, and pretty healthy! This bake didn’t go so well, but this blog isn’t about pretending everything I bake is perfect! It’s about keeping an honest account of the things I bake and the things I learn as I go along, and it’s a learning curve. So, it’s not perfect but I learned from it, and my family still ate it!